Me either ... that is until my cousin, Cody, brought Jamie into our lives. This wedding actually happened June 2015 (before this blog was in existence), but since it is one of my favorite weddings and my cousin I wanted to re-post it on my new blog site. St. Francis is a small Kansas town with literally had the nicest people ever. 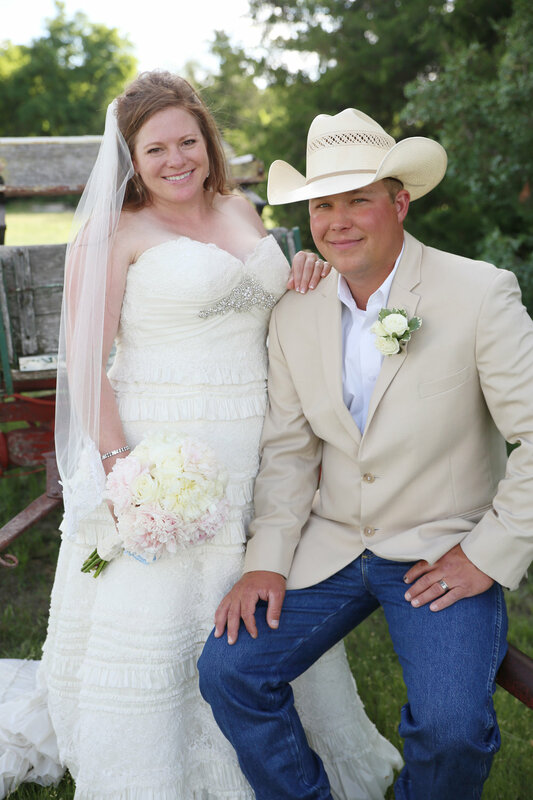 Cody and Jamie had planned to get married at her family place, but since it had rained earlier that week the wedding was moved to their church in town. It was a beautiful background for the start of their new chapter in life. The wedding ceremony was beautiful and the reception was a ball. Cody is one of those guys that keeps everyone laughing. Just looking back through their images two years later made me laugh out loud at all his antics. Jamie was such a beautiful bride and a dream bride at that. I don't think she let anything stress her out that day and was so easy going (which is not different than her everyday personality!) Every detail of their day was so simply perfect which made this little photographer a happy camper. I just loved the colors she picked for the bridesmaid bouquets and the little pops of turquoise worked so good together. The reception was held out at the local fairgrounds with lots of yummy food, cake and pies for days. There were also some cold (beverages) that made all the cowboys hit the dance floor (including my Uncle Mark) that kept everyone laughing throughout the night. Cody and Jamie invited everyone to bring their branding iron to add to the platform that Cody built. Cody and Jamie put their brand in the middle with everyone else brands surrounding theirs. If I remember correctly I believe they used the platform as a part of their deck at their new house! I think a lot of people thought the wedding was about Cody and Jamie, but if you scroll down... 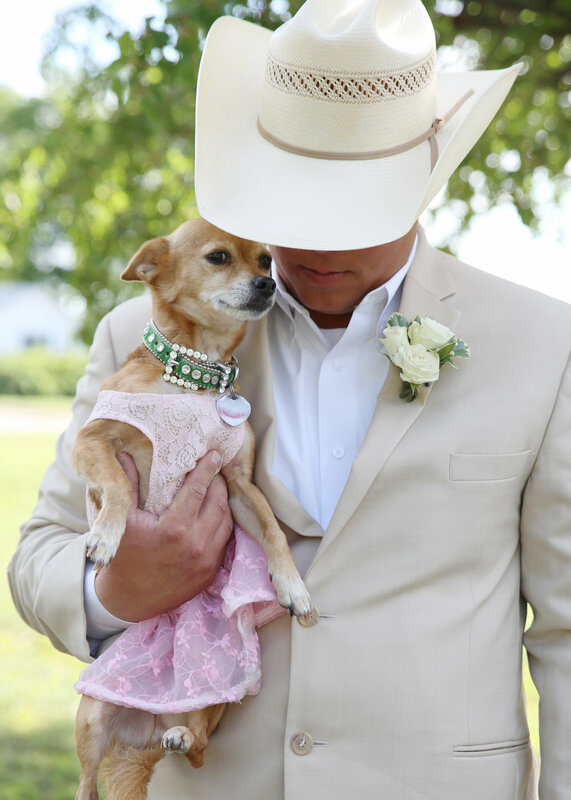 I think you will clearly see it is about a little lady in a pink dress named Cricket!